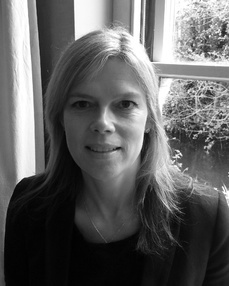 I am a BACP registered Counsellor and Psychotherapist working in Woodbridge, Suffolk and Notting Hill Gate, London. I offer both short and long term counselling, working with individuals, couples and adolescents. I completed my training in 2002 and worked for a large GP's practice in Suffolk. My clients were varied ranging in age from 16 to 80. In 2003, continuing my work at the surgery, I set up my own practice and began working in an Adolescent Referral Unit. I now practice privately in Suffolk and London with clients referred through GP's practices, word of mouth or the internet. I offer evening appointments and early morning appointments. An initial consultation session will be offered for the individual or couple, to assess whether this approach to Counselling feels appropriate . After the initial session if you wish to continue regular counselling the sessions are usually weekly and of fifty minute duration. I am a BACP registered Counsellor and Psychotherapist working in Woodbridge, Suffolk and Notting Hill Gate, London. I offer both short and long term counselling, working with individuals, couples and adolescents. I completed my training in 2002 and worked for a large GP's practice in Suffolk. My clients were varied ranging in age from 15 to 80. In 2003, continuing my work at the surgery, I set up my own practice and began working in an Adolescent Referral Unit. I now practice privately in Suffolk and London with clients referred through GP's practices, word of mouth or the internet. An initial consultation session will be offered for the individual or couple, to assess whether this approach to Counselling feels appropriate. After the initial session, if you wish to continue regular counselling, the sessions are usually weekly and of fifty minute duration.